It's that time of year again where bloggers share their Christmas Wish Lists on their blog, I have been asked a lot recently if I was going to share mine and today's the day, I am going to share with you my Christmas Wish List of 2015, to be absolutely honest the last couple of months have been the worst of my entire life so what I would like more than anything this Christmas is for next year to be a good year and for all the horrible things that have happened recently to be ok and for us to be able to breathe and relax again but since I can't show you that or give you a link to where you could get it too, and how I wish I could, I am sharing with you some things I've seen online and thought "oh I like that" I will include links in case you see something you like too or something for a loved one, friend or partner you're buying for this year. 1. Topshop Cream Fluffy Heart Keyring - £5.00 - available to buy HERE also available in Black. 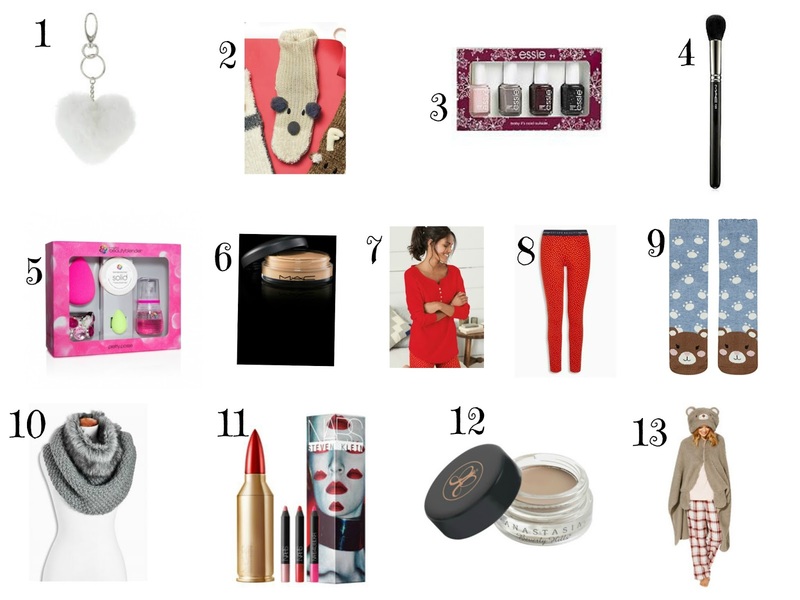 So those are all the things on my Christmas Wish List for 2015 and I will give you a brief overview of why I chose what I did, I love anything heart shaped so the keyring and the Next loungewear with the heart print leggings are perfect and bears play a huge part in our family so there are a few bear related items in there too, I love the bear slanket from Tesco it looks so snuggly and I am often cold so it would be lovely to snuggle in that and I suppose I wouldn't be me if there weren't some nail polishes and lip products in there too, the Nars set looks amazing and the lip pencils are incredible. I have been interested in the Lip Erase from MAC for a while as I suffer with very blue lips and the lip erase cancels out the natural colour of the lip meaning if I wore a lipstick it might actually come off the shade I hoped for a change! The beauty blender is something I've had my eye on for a while and loved this cute set of 2 beauty blenders plus accessories, the ABH Dipbrow Pomade is again something I've been looking at for a while but never bought, and the MAC 109 brush has been on my brush wish list for many years now, it looks perfect for applying blush. So there are a few things I've been looking at but never purchased for a while and some heart and bear related things which are personal to me and the snood I just think looks super cozy and snuggly and I think would look lovely with my leather jacket. 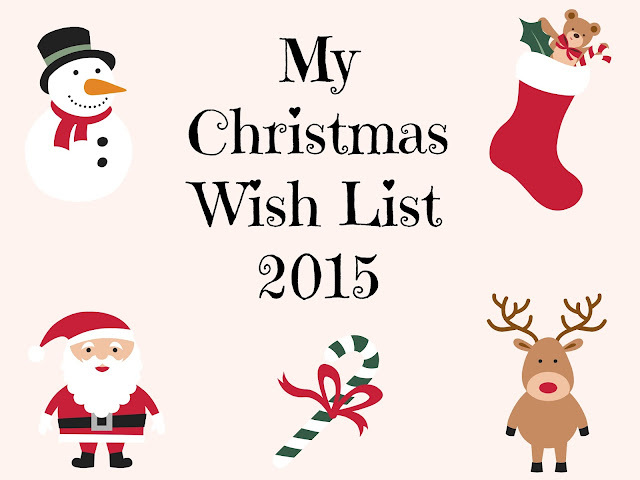 I hope you've enjoyed reading my Christmas Wish List, let me know in the comments what is on your wish list and if we have chosen anything the same. But as I said all I really want is some better luck, better news and a good 2016 for myself and my family, after all it's who's sitting around the Christmas tree that matters and not what is under it.